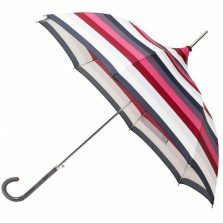 Protect yourself from those threatening grey skies with the dashing red outer canopy and striking diagonal striped inner canopy. 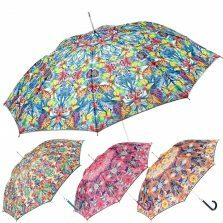 The Bloomsbury, an umbrella to brighten up any rainy day. 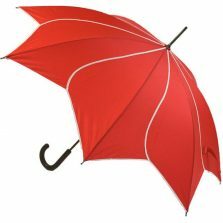 If you’re looking for a red umbrella, a designer umbrella or a fashion umbrella – look no further. This is a truly stand out designer umbrella by LuLu Guinness. 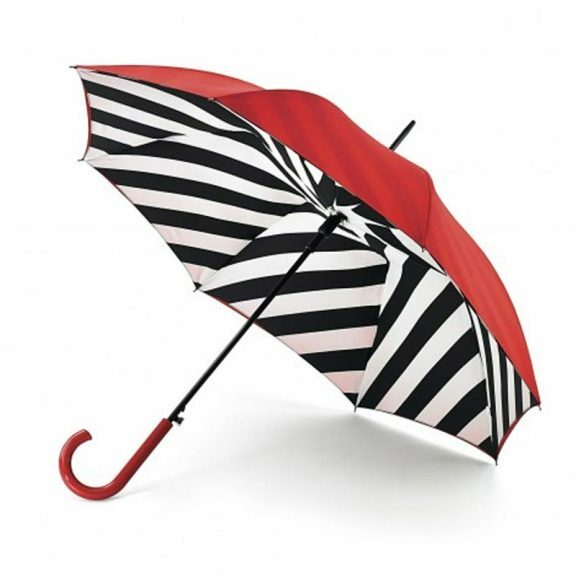 There are ladies umbrellas, there are ladies fashion umbrellas – and then there’s the LuLu Guinness Bloomsbury. 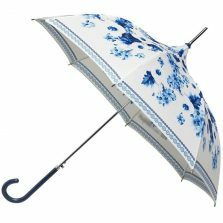 For true umbrollogists and on-trend fashionistas everywhere. You’ll feel like you’re on the cover of Vogue with this exciting fashion statement umbrella from designer LuLu Guinness, made by Fulton. 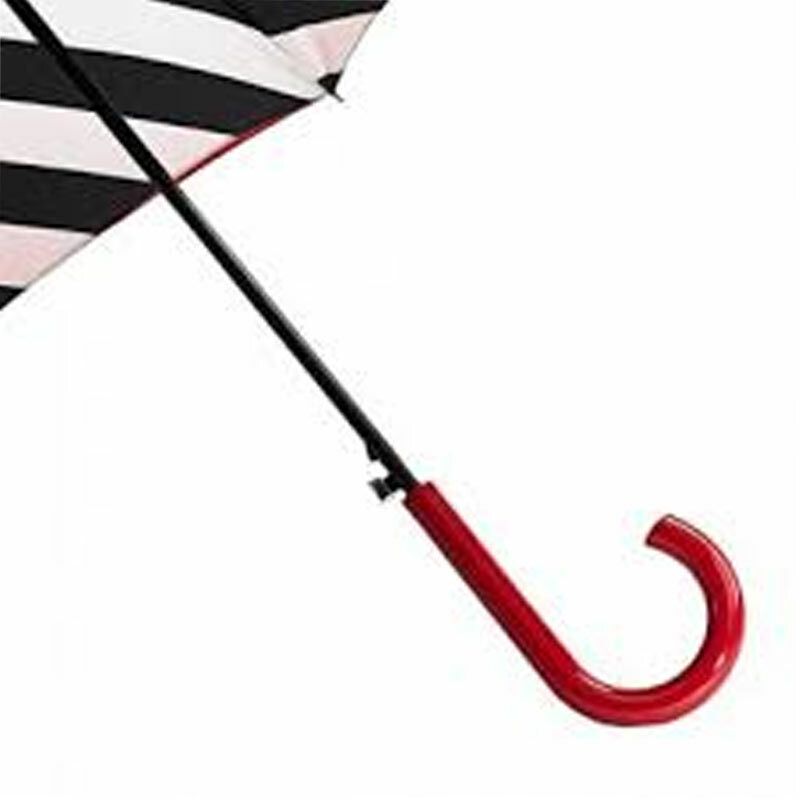 •Designer umbrella – red exterior with diagonal black interior stripe. 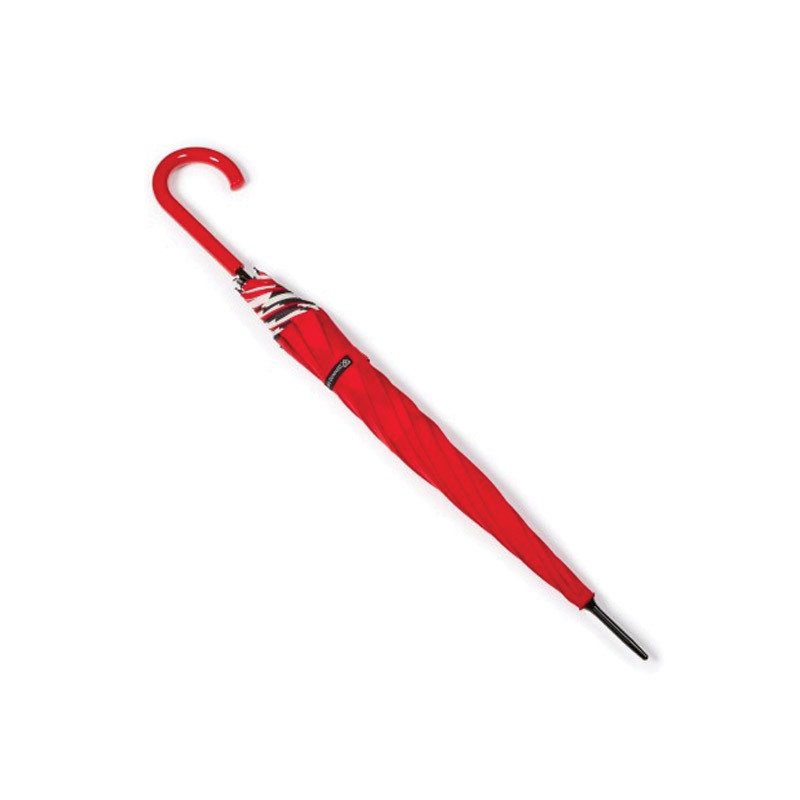 •Manual frame this fashion umbrella has a red wooden handle. •8 extra strong fibreglass ribs. Rib length 58 cm. Dare to be different! 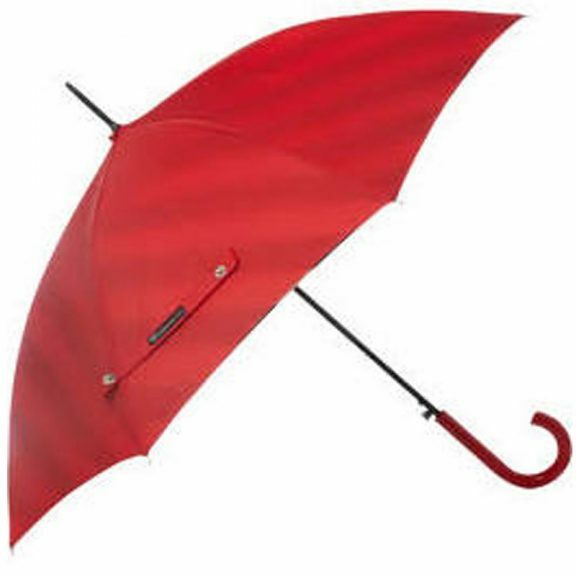 You’ll definitely turn heads with this striking red fashion umbrella. 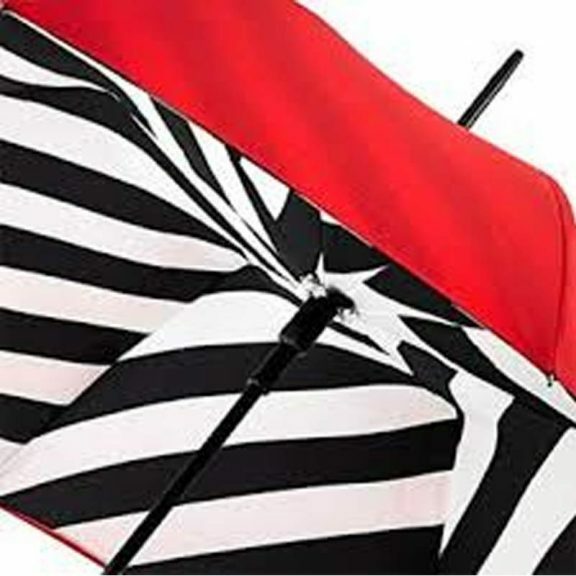 Arrived promptly.Really loved umbrella, so stylish.Exactly what I was looking for, something different.